Presidium of the Moscow City Court upheld a supervisory complaint of Russia’s Ombudsman Vladimir Lukin and changed under remand detention for Nikolai Kavkazsky, a prisoner of the Blotnaya rally case, to a home arrest. 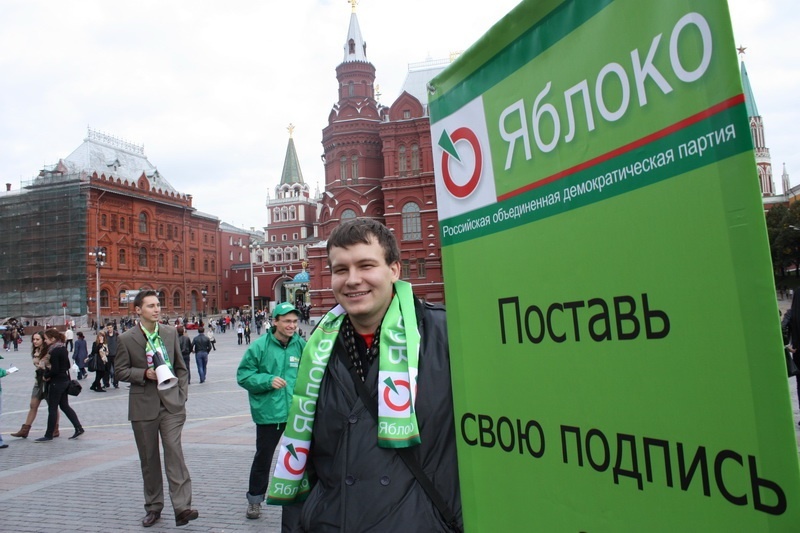 YABLOKO’s leader Sergei Mitrokhin and party activists came to the court to support Nikolai. Complaints to review the decisions of district courts were sent to the Supreme Court by Vladimir Lukin, one of YABLOKO’s founders and Russian Human Rights Commissioner. The Supreme Court allowed the appeal and reviewed the proceedings. The Supreme Court particularly noted the unlawful reference to the fact that home arrest could not have been applied to Kavkazsky as he had refused to testify. This, according to the Supreme Court, violated Article 51 of the Constitution running that no one shall be obliged to give evidence incriminating themselves. “I am satisfied with this decision. I believe that other persons involved in the Bolotnaya rally case should be released, because they are not guilty,” Sergei Mitrokhin commented on the decision of the Presidium of the Moscow City Court.